5 Ways To Boost Your Q4 Sales With Social MediaOpen Source vs Closed Source Platforms: Which is Better For Your Online E-Commerce Store? In a time where even dogs have their own social media pages and websites, businesses (including small brick-and-mortars) are expected to be represented online. Retailers need to stay competitive. And while you may not want an E-Commerce website, your customers have grown accustomed to them. Not only does supplementing a retail store with an online store help to meet customer expectations but there’s also a couple of benefits for businesses. Most consumers (as briefly mentioned above) are already online shopping for products. If you’re not E-Commerce enabled, you’re behind on your competition. Besides meeting this expectation, you can also gain tremendous insight into your customers from an online store. It’s much easier to collect data to focus on your problem areas (like customers who abandon their carts) with an online store. You can also convert effortlessly by setting up an auto e-mail that reminds customers that they were about to make a purchase or sends them additional incentives. These tools, which can be added as a plugin on most sites, can help businesses recover 30 percent of lost sales. Simply put, having an E-Commerce site is a straightforward way to reach new customers. Sure, the physical shopping experience can be unparalleled, but online shopping saves customers time and it gives you the potential to reach a larger audience. Online shopping is not the experience it once was before. Over the years, it’s shifted to become more social with the help of a few key platforms. For example, Pinterest allows users to aggregate ideas and products that can and are purchased into inspiration and favorites boards. These boards are compiled from keyword searches, directly from E-Commerce websites, or from other Pinners. And, according to Digitas, users generate 70 percent of brand engagement on Pinterest (not brands). Most of these pins, saved from interested shoppers, include the source so each product picture links directly back to an online retail store – if a retailer doesn’t have one, then they’re missing out. As well as being shared and recommended easier on social media, an E-Commerce store can reach prospective customers directly through targeted pay-per-click (PPC) adds on Google or other search engines. The best part about PPC? You only have to pay for your ad when someone actually clicks in it, so you’re paying directly for results. It’s quick and targeted exposure. Your advertising opportunities grow significantly when your store exists online. Certain products are easier to order and sell online. Consumable items, like office supplies, are definitely one of these products. Consumers would much rather click through a couple of pages to confirm a purchase than to drive to a store to pick up an item like a ream of paper. This can apply to other retail categories as well, like regional items. If you’re a Golden State Warriors fan that happens to live in Chicago, online is a better bet for access to apparel and gear than your local mall. Small retailers should look at their product inventory and ask if some of these products are prime for reaching customers through E-Commerce. An online store can supplement the customer service already provided in store or over the phone. Live chat is also another option that helps to answer customer questions and concerns. Even offer solutions while you’re closed with a frequently-asked-questions (FAQ) section on your website. Whenever you can make it easier for your customers to get information, like inventory levels or return policies, you’re helping to improve your customer service. 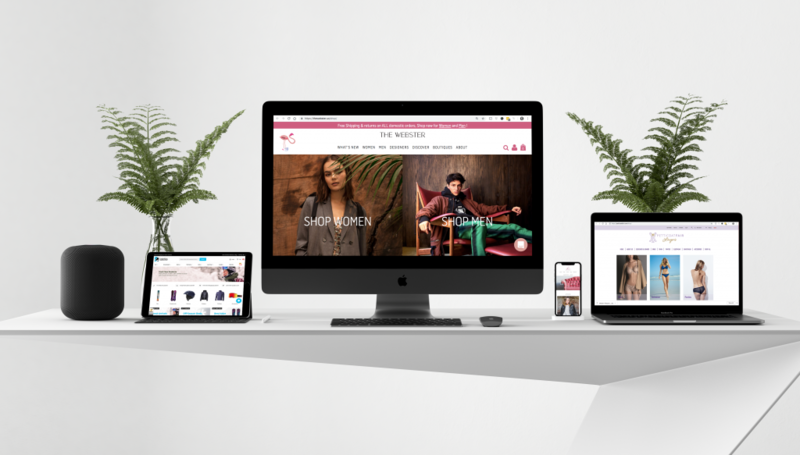 There are nothing but advantages to opening an online E-Commerce store (expect the learning curve – but Linked Retail is here for that, with custom packages that are built to cater to your specific needs). E-Commerce sites help to advertise, find new customers, and collect new leads. And you let your customers to shop how, where, and when they want, making it easier for everyone. Open Source vs Closed Source Platforms: Which is Better For Your Online E-Commerce Store?